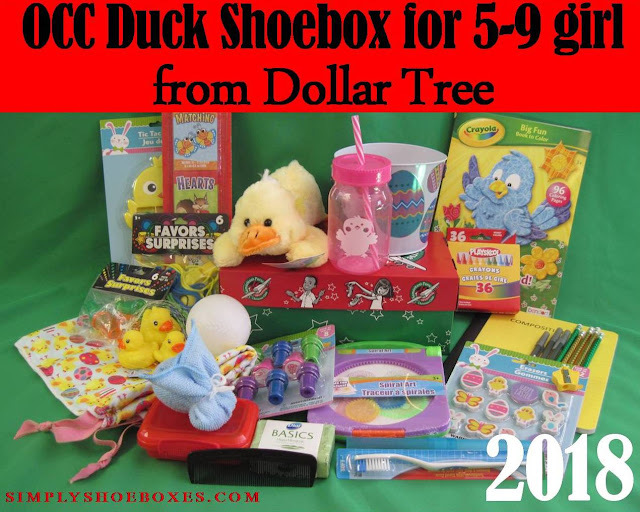 I recently got the chance to shop at Dollar Tree for items to fill an Operation Christmas Child shoebox as I was compensated for this post. This post also contains affiliate links and I will be compensated if you make a purchase after clicking on my links. But, my opinions are my own. Thanks to Valentine's clearance at Dollar General we were able to stock up on stuffed animals! I think we're pretty well set for the year, now, with what we've gotten the last couple months. I'm really grateful, because I was a little worried! Some were 50% off, others 70%, worked out to $0.30-$0.90. I also picked up some goodies at Dollar Tree for a post I'm writing. I really liked the stuffed animals, especially the lamb, so even though it wasn't on sale, I got an extra one! You can order the duck, lamb (& bunnies) in bulk (that's an affiliate link and I will be compensated if you make a purchase after clicking on it). The last couple weeks have been busy for life in general, but not so much for shoebox stockpiling, so I've let the blogging of the stockpiling lapse. I picked up some goodies when Dollar General had their 50% off clearance sale. I was really excited about the chunky pencils-we used some last year and I had seen them at this store and was waiting for 50% off clearance to pick them up! A friend also donated some stuffed animals! I wrote an earlier post of some Walmart clearance deals with Brickseek links, and it was so popular I decided to try an ongoing one that will hopefully be updated all year long as more clearance deals are found, with Brickseek links when possible. So feel free to pin, bookmark, etc. 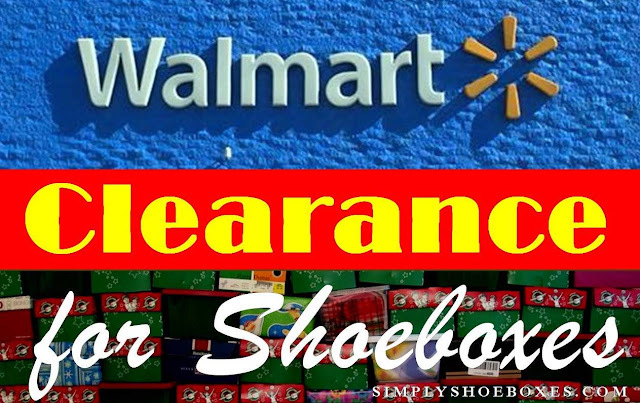 this page and check it often for hopefully new deals that can help you pack more and better shoeboxes! For those unfamiliar with Brickseek, it is a service that attempts to track inventory and prices at stores. It's not foolproof, but it is a good way to get an idea of stock and prices before one heads to the store. You should be able to just put in your zip-code in each link and get an idea of what deals you may find at your local store. Remember to be kind and understanding as it may not have the stock or price you expect. And utilizing the in-store price scanners (and maybe app) can be helpful, too! One idea of how to use this is to earn a gift card to Walmart online then give it to a friend or family member who would like to help with your shoebox project lives or works near a WalMart you can't often get to, and when there's a good deal and that store has a good stock of it, ask them to run by and pick it up for you with the gift card. Then, next time you get together, you can pick up shoebox goodies! I have to thank everyone who posts on Facebook deals they find so I have something to make this list from! 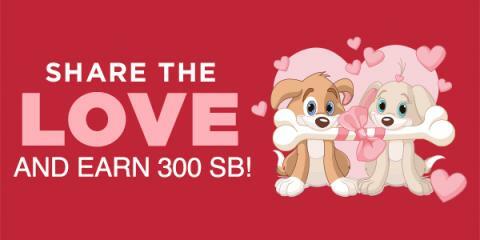 A special thanks to everyone on the official leader forum especially Yvette who often finds the links for us. NOTE, this post I'm not currently keeping up this post, I'll edit it to let you know if I start sharing this links again! With vacation, I've gotten behind on updating this-trying to catch up, but may miss a few. While it's not clearance per-say, I did want to mention that Walmart seems to have started their back-to-school prices in most stores, so be on the look out for that, too! 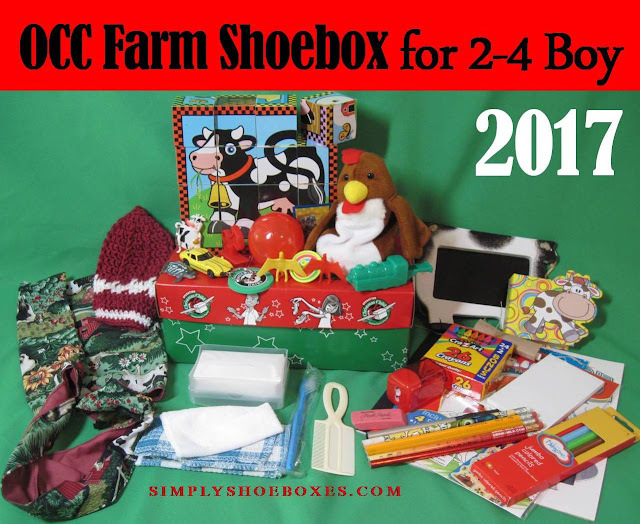 If you read this blog, you'll probably have read me mentioning that you can send fillers to the Processing Centers for Operation Christmas Child shoeboxes. Basically, some boxes that come through the inspection line have to have something taken out because the packer misunderstood the instructions and there's a hole in the box. A great example of this would be a box I saw with and apple and orange in it. Great for a stocking, not so great for a box that may take a month to get to another country. When something has to be taken out it is replaced with something else. Also, sometimes a box comes through that doesn't have to have anything taken out, but is pretty empty. Maybe the packer was poor and gave all they could, maybe they misunderstood and thought they could only put one item in, or maybe someone got sidetracked trying to hit a certain number of boxes packed rather than packing full boxes. Samaritan's Purse accepts donations, so in either of these cases, the volunteers will have something to fill the boxes for the children. 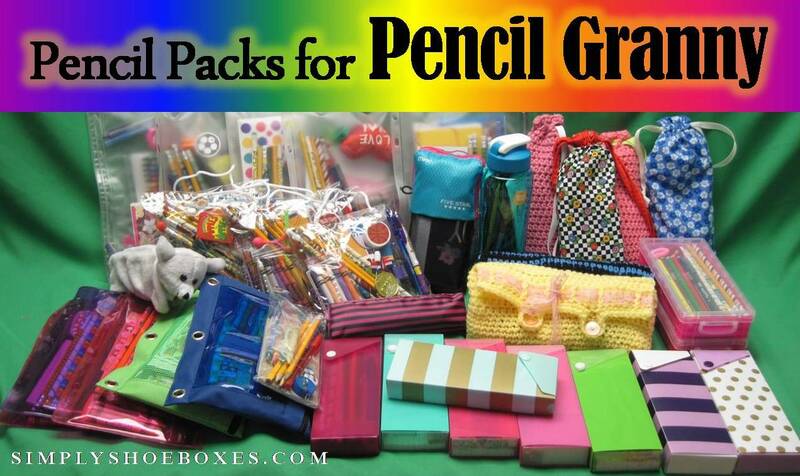 The Pencil Granny & Friends is a group of people on Facebook who has seen the need for this filler and has a burden to provide school supplies for children. They act on this by making pencil packs to send as filler that can be put in boxes needing something else. 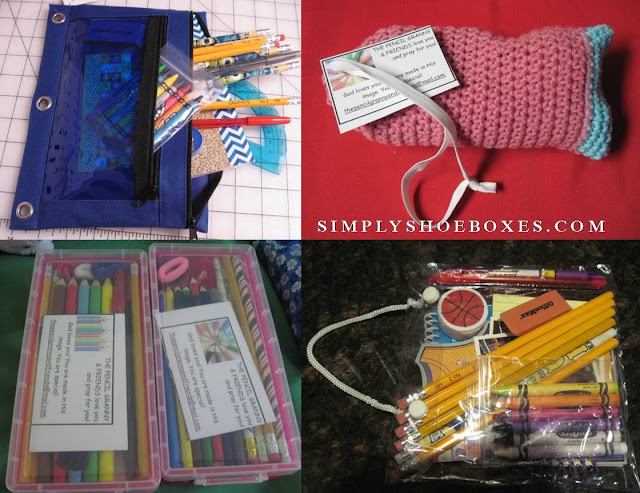 In many countries, school supplies are required to attend school, and these packs may literally give a child what they need to get an education. How I personally decide how many to pack is how many spare pencil cases I have left at the end of my personal shoebox packing. Some I've bought because I thought they'd be good for this project, some are sewn or crochet, but as you can see, there's a lot of variety-also what goes in depends a little on what fits. And just like the shoeboxes I pack, often they end up having a theme. I like to try to add small extras as well. Depending on what I find. For instance, I bought combs in a giant lot, so I put one in each bag. You can see the sports one has a "gold medal" in it, etc. I even fit a little stuffed animal in one. Then I took them to the drop off location in a small box clearly labeled Fillers and Gifts-in-Kind, and they had a carton at the drop off to put it into to send to the processing center. It's important to be sure it's not mistaken for it's own shoebox-haha! If this interests you, be sure to check out The Pencil Granny & Friends Facebook page! And if you're interested in the quality of various pencils, check out our Pencil Brand Reviews. A deal on Dial Bar soap many of us like to get for Operation Christmas Child shoeboxes is available again. There is currently this printable coupon available, you should be able to print two on your computer. I believe there was also the same coupon in Sunday's paper, so you could get more with that! The link to this coupon is my referral link, and I'll be compensated if you print coupons through it. That works out to less than 20 cents a bar. Sometimes there is confusion with using printable coupons at some Dollar Trees. My suggestions are: print the coupons on normal quality, not fast draft (as I often do with coupons) to be sure they'll scan better, be ready to explain the small print of the coupon saying "off any 3 pack", and personally I always carry a printed copy of Dollar Tree's coupon policy. Of course, one should also be prepared to be polite and take no for an answer. There is also this coupon (affiliate) for 6 packs or larger that might lead to a good deal at another store-I think I heard Dollar General may have some on clearance. Disclosure: This post contained affiliate links and I will be compensated if you print a coupon after clicking on my links, this helps me afford the time to write this blog and keep up the Facebook page. But, I only share affiliate links for items I think would be good for shoeboxes, and fellow shoebox packers. Most the time it will be things I've personally reviewed or packed. Sometimes when we win or earn gift cards online for shopping for shoeboxes for Operation Christmas Child, we use it to "splurge" on an item that might cost more than we normally budget for that type of item. Such was the case with the cow blocks/puzzle I built this farm themed box around.